As an interior designer, it is always a professional pleasure and a personal delight to realize the extraordinary opportunities created by every project referred to us. To listen, understand and translate the personal tastes and wishes of our wonderful clients is both the start and the conclusion of our work – but never the end of our relationship. Liaising with architects and landscape designers from North America and Europe has brought us in touch with innovation in classic and contemporary trends that we delight in introducing to each client. Fusing individual taste with the work of great artists, sculptors, muralists, and artisans of ceramics and custom furniture, has become more than a joy, it is a passion for every member of my very talented team. Very simply, our process allows your concepts to become a reality where we are honored to become your confidantes and even friends. We welcome your interest in working with us. 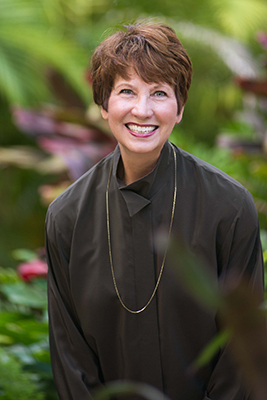 Anne Folsom Smith has been an Interior Designer for the past 35 years establishing a discerning client base whose project scopes range from $250,000 to over 9 million. Smith is a native of Knoxville, Tennessee, but has adopted Sarasota as her home. She attended East Tennessee State University as well as the University of Tennessee and holds credentials as an Associate AIA, ASID and is a Florida Licensed Designer. Anne Folsom Smith always establishes a comfort level that is evident to anyone who enters an interior in which she and her design group have participated. Anne’s philosophy is that environments should always convey a sense of understated elegance and comfort. Her main thrust is to enable people to express beauty and serenity in their surroundings. Anne is married to prominent architect and town planner, Frank Folsom Smith.